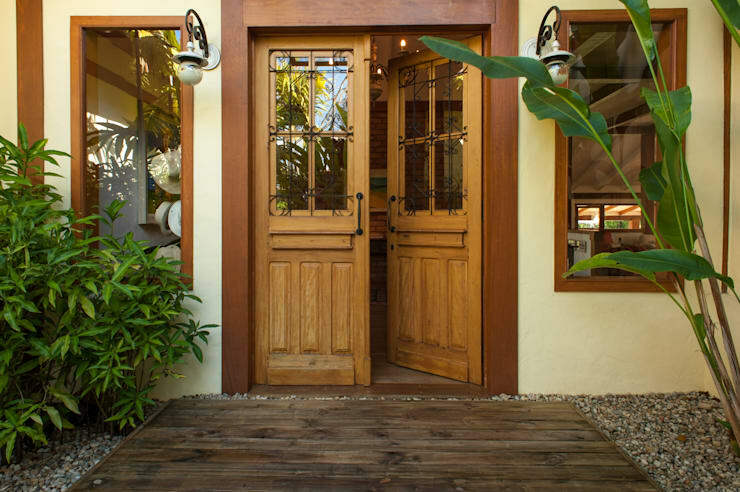 Wooden doors for your façade might just be the most perfect and creative way to make your home look amazing. 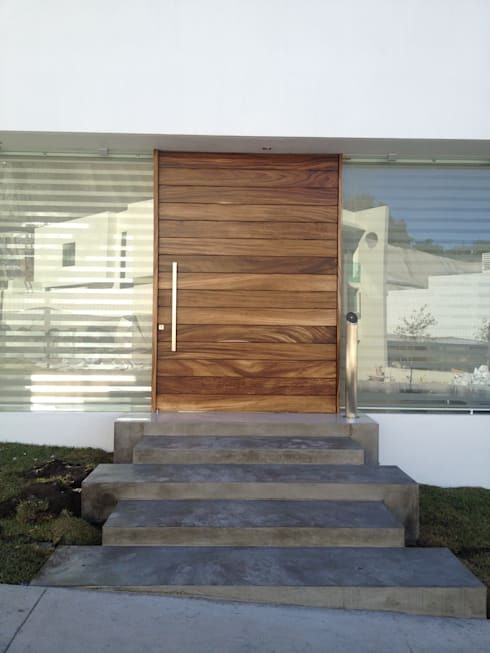 Whether your personal style is charismatic and artsy, eclectic and modern or even traditional and classic, there is an elegant wooden door available to add that interesting and unique environment to your exterior. 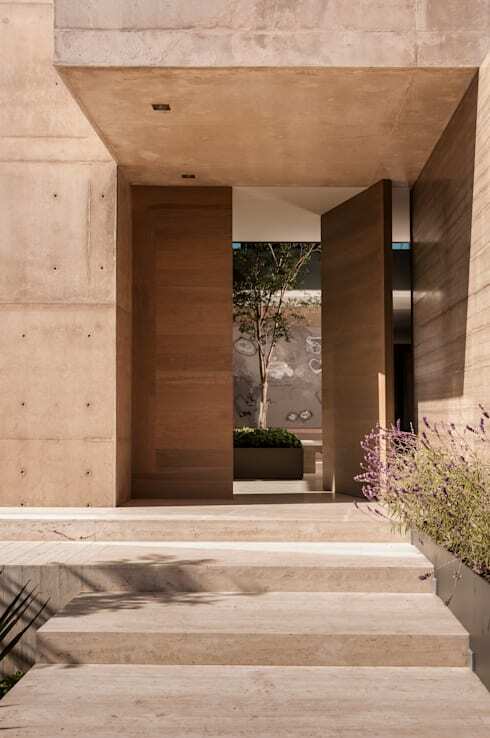 These 14 doors will make an attractive statement to your home. Interested yet? Well, let’s be inspired by these design options that are sure to be an aesthetic choice, regardless of your neighbourhood. This stylish door has tradition, prestige and elegance written all over it. 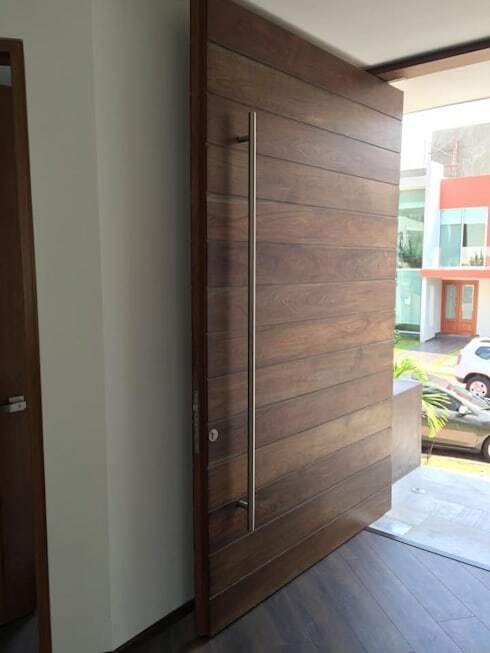 And the thick wooden door frame adds to the sensational design, making it even more fascinating. 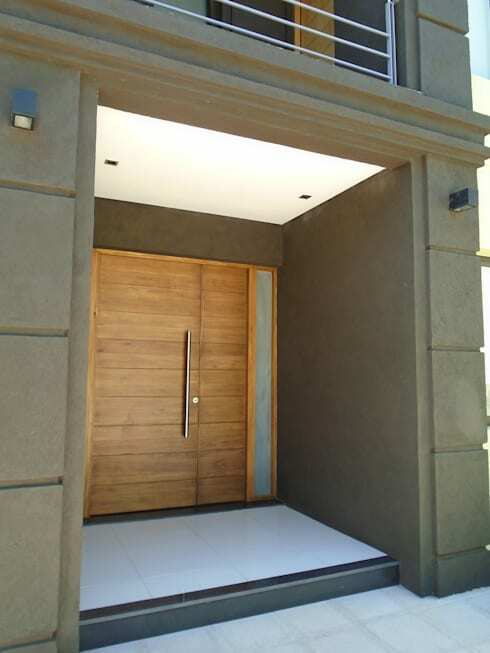 This door is a fantastic choice for the modern minimalist home that loves simplicity. The combination of the cosy wooden door along with the metal handle is perfect and attractive. 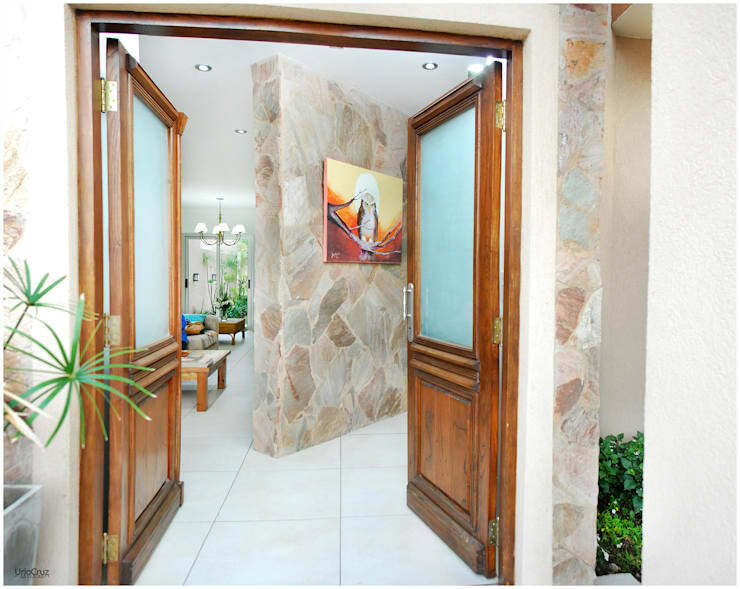 A lovely door such as this that leads the way into this gorgeous hallway might just be the best choice for your home. There is something about this door that creates a warm and welcoming environment. This wooden door is unique and attractive, while being functional too, it’s a great way to make your home look a lot more interesting too. 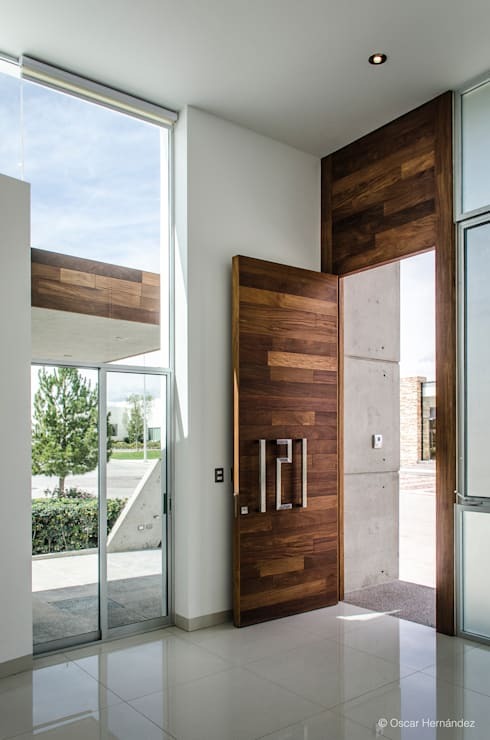 This wooden pivot door is a great choice for a grand entrance. It's aesthetically appealing and striking above all, now wouldn't that make your home so much more interesting? 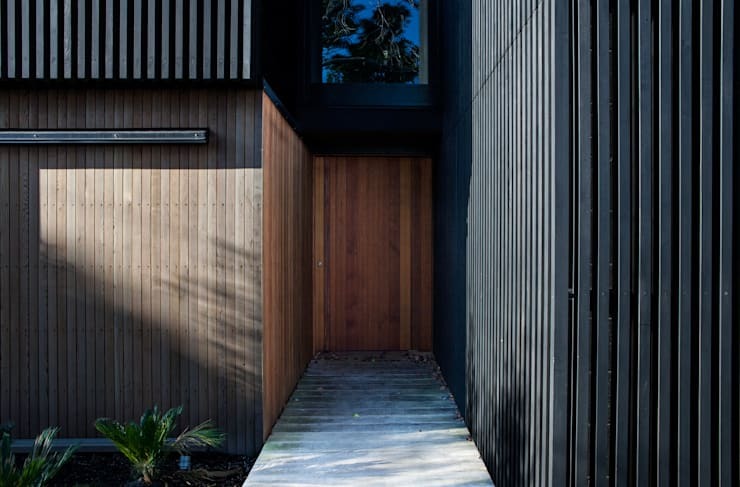 The wooden door showcased here is dynamic and striking, with some horizontal lines to create the illusion of a wider entrance and door. 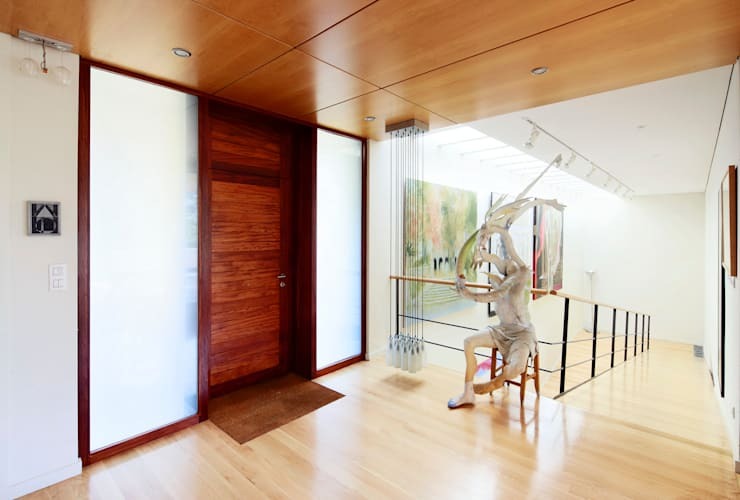 The wooden door here is an exceptionally modern choice for your home, and if you are looking for a custom made option for your home, you may have to contact a professional carpenter to get your door fitted and suited for your façade. 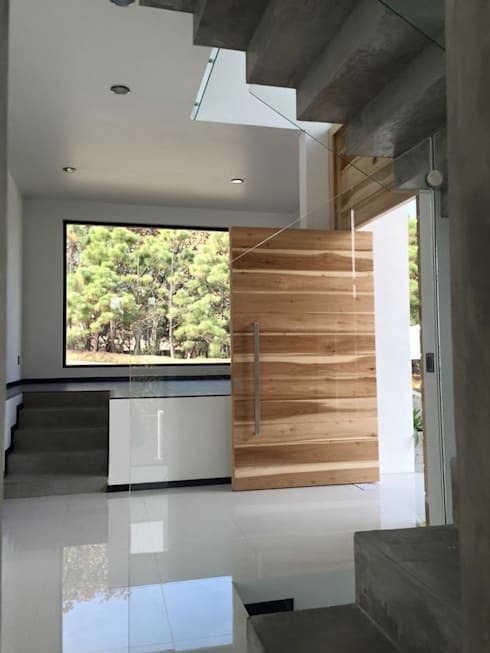 This glass, wood and metal door combination is an elegant option. It’s a home that enjoys privacy and comfortable space, and the door matches the character of the home in all aspects. 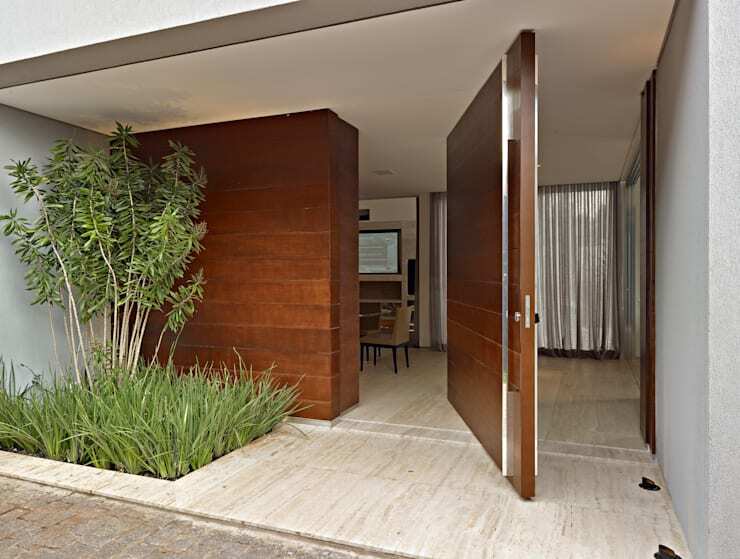 The corridor surrounding this hidden wooden door is definitely a top choice for a home that appreciates privacy. 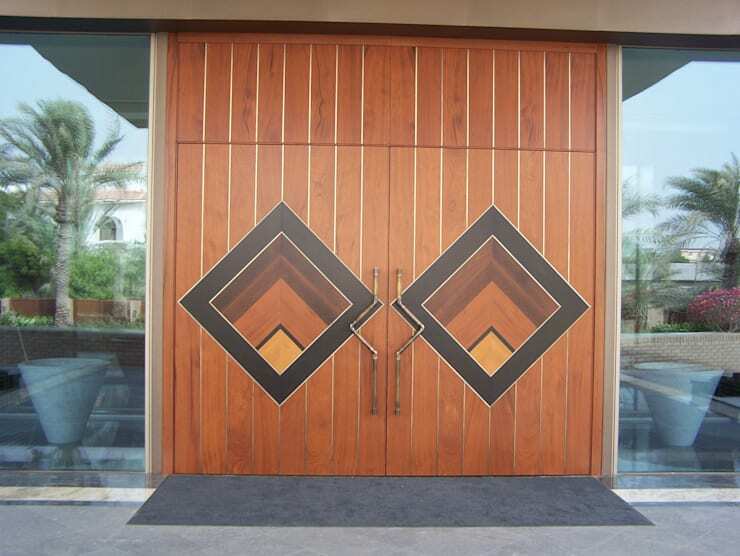 The idea of using geometric design for the wooden door is something truly fascinating and attractive, so consider this admirable option for your house. A pivot door is intriguing and elegant, and presents the question, which side do I enter through? The door and the façade pictured in the image are both classic and charming choices for this home décor. It’s a comfortable décor option that promises not to date for a few years. Using wood in its natural neutral shades is an excellent manner to add exquisite design to your home, and this wooden door displays style and elegance in all aspects. There’s nothing quite like adding some chic style and attitude to your home by utilising some gorgeous red wood. Now that all the wooden door options have been covered, how about these: 12 brilliant brick home entrance ideas? 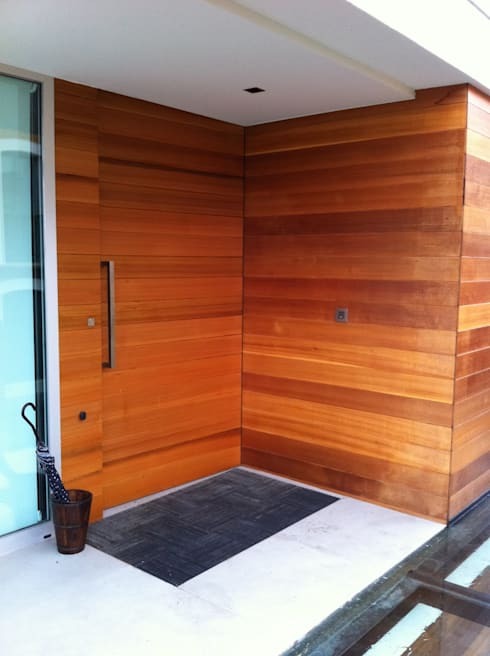 Which wooden door would you choose?